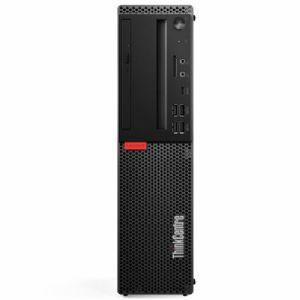 The Lenovo ThinkCentre M920s SFF Desktop PC is powerful, easy to manage, configurable and backed by security features to meet present and future computing needs with a fast, responsive and efficient work. The system is powered by Intel Core i7-8700 Six-Core processor with a blazing speed of 3.2GHz which will allow you to run multiple applications simultaneously. When running more demanding programs or tasks, the processor can achieve the maximum speed up to 4.6GHz. The 16GB DDR4 SDRAM helps to ensure smooth multitasking and also allows the computer to quickly access frequently-used files and programs. 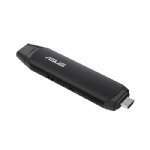 For storage of your files, a 512GB SSD hard drive offers quick access to your data. The Lenovo ThinkCentre M920s SFF Desktop PC features integrated Intel UHD Graphics 630 that delivers a sharp, clear picture while allowing for multiple simultaneous displays. While the installed operating system is Windows 10 Professional 64-bit which does great things confidently with the familiar feel of Windows. Buy the Lenovo ThinkCentre M920s SFF Desktop PC at the earliest!